Beach City Bugle: Story: Who Wants To Be A Hiatus? 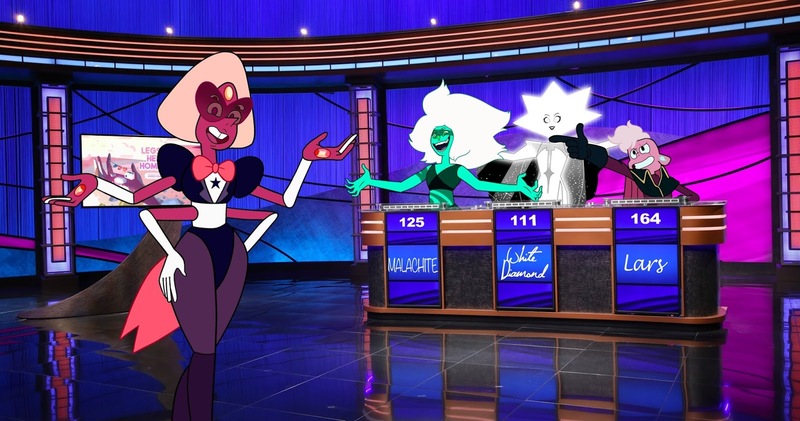 Description: Three contestants— Malachite, White Diamond and Lars —are representing Steven Universe's top three hiatuses on a game show hosted by the lovely Sardonyx! And no matter who wins... we lose. Who Wants To Be A Hiatus?